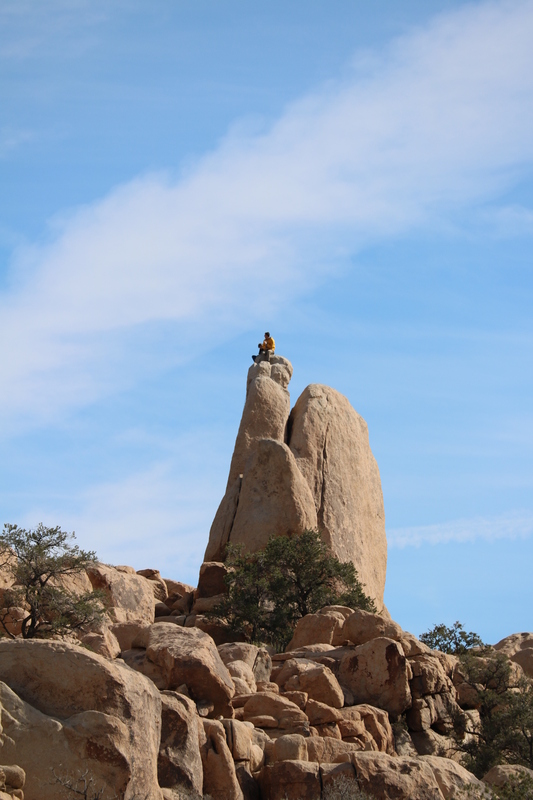 Elephant Rock is probably one of the most awesome rock formations I’ve seen. It’s definitely one of the best in this park! 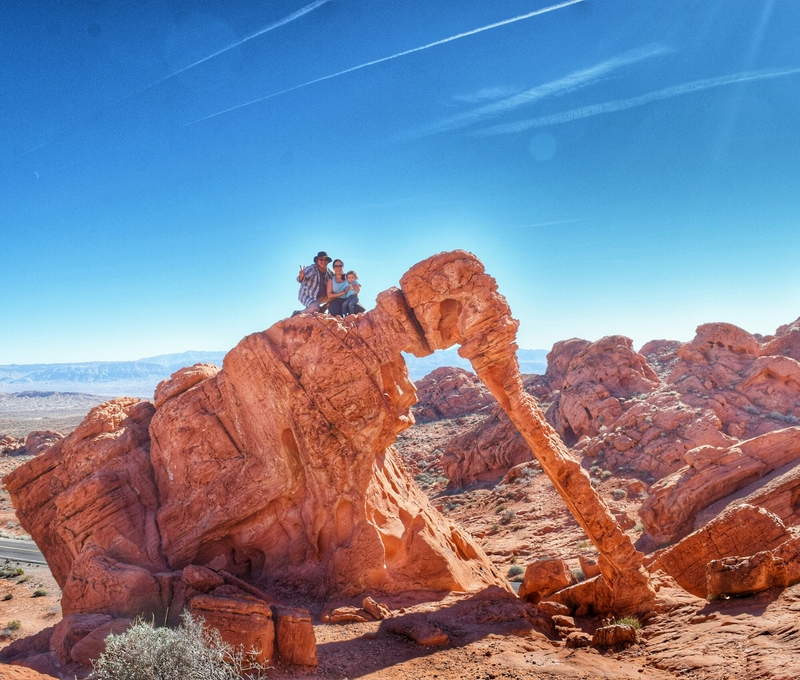 Arches are cool.. but come on, it’s an Elephant! 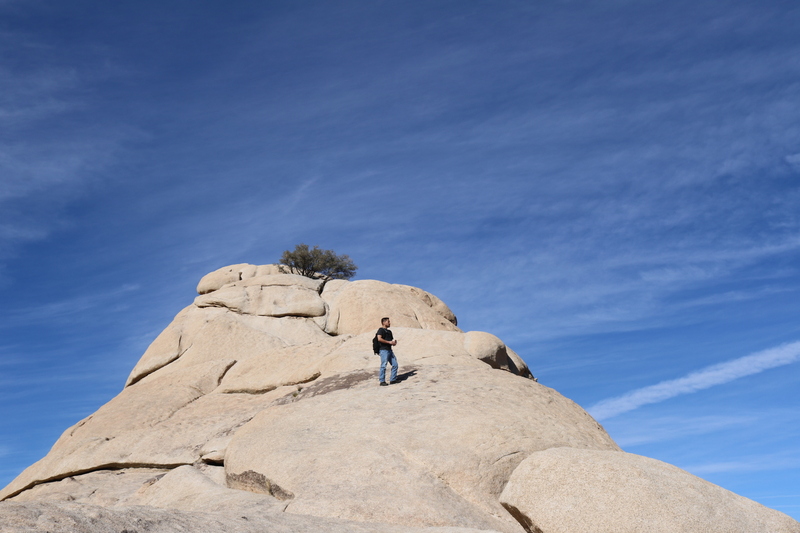 The hike is family friendly and the trail is easy to follow. 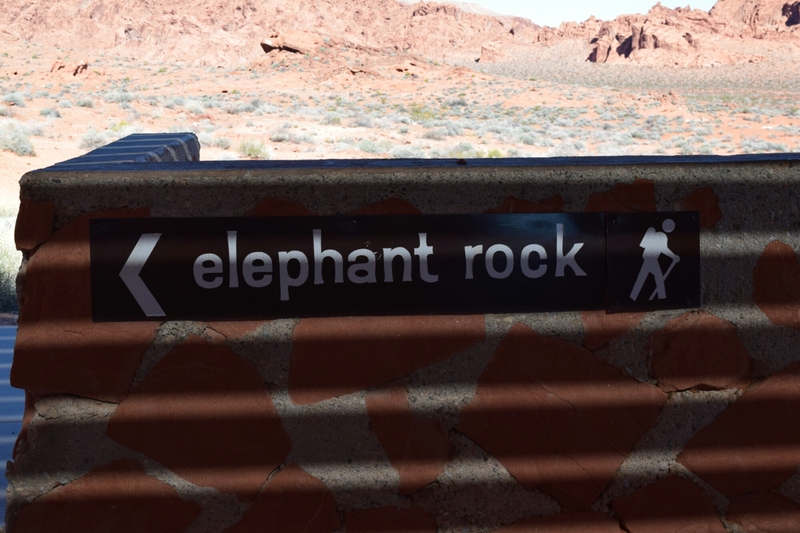 It’s only about .2 miles to elephant rock. 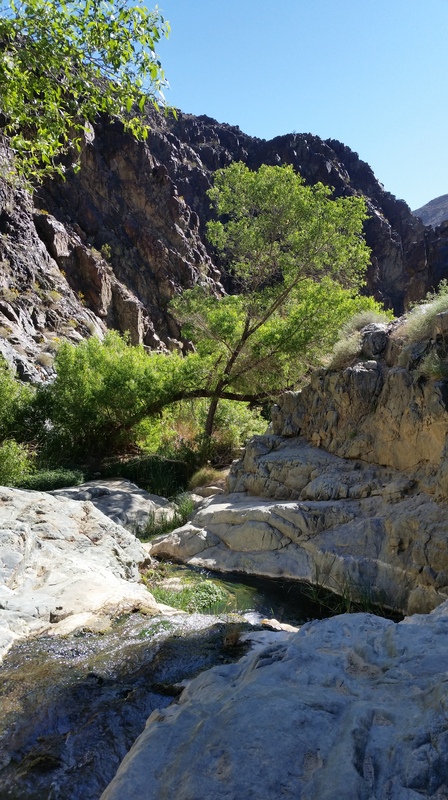 I would never have guessed that a desert hike would crack my top ten list, but the Ladder Canyon is by far the most visually stunning hike that I have personally experienced in Southern California. 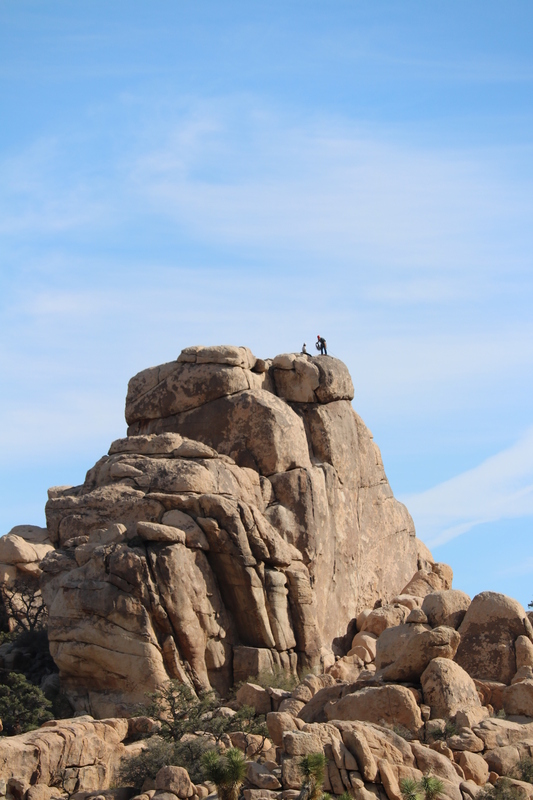 I would definitely mark this as a must do for all hikers of all experience levels. 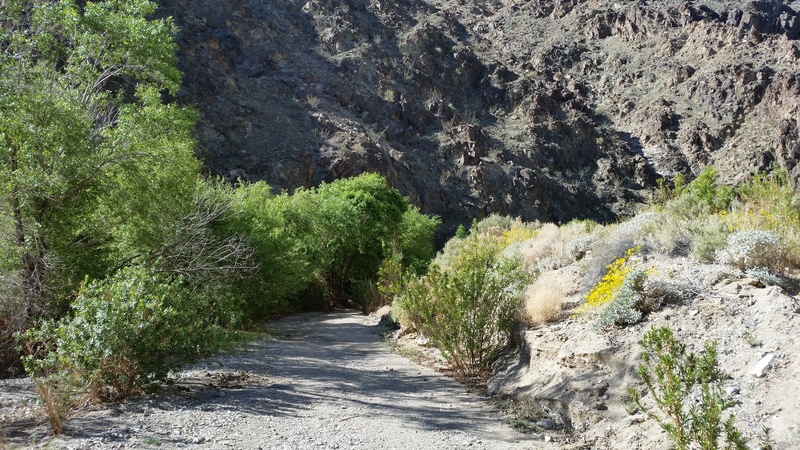 This trail is located in the the Mecca Hills of the Coachella Valley which border the northern shore of the Salton Sea. 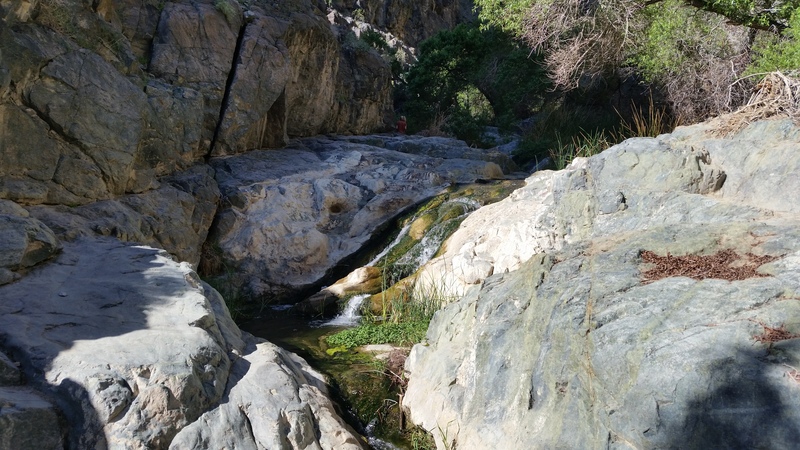 You probably would not want to attempt this hike during the Summer seeing how the temperature regularly surpasses 110 degrees during those months. We happened to catch a great break in the weather over the Thanksgiving weekend and the high temperature barely hit 80. This area is also known for very windy conditions and is also prone to flash flooding. 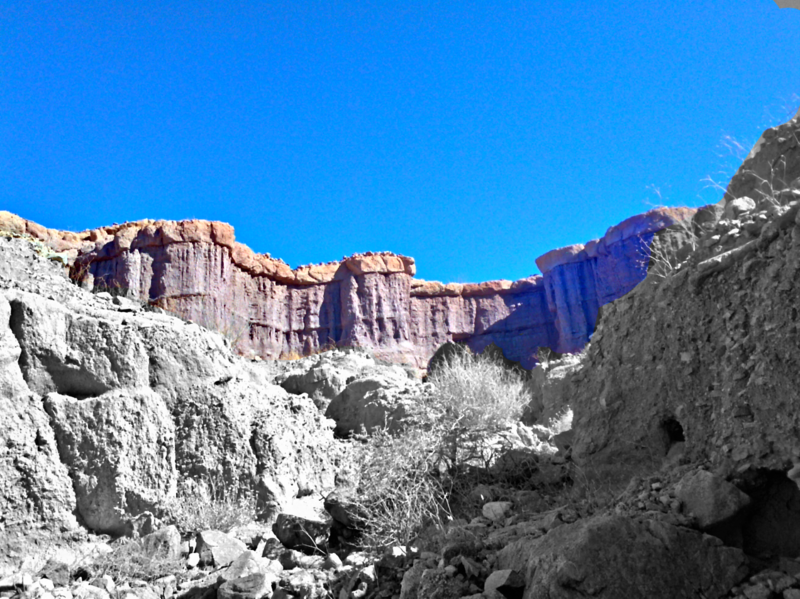 A portion of the Little Painted Canyon. 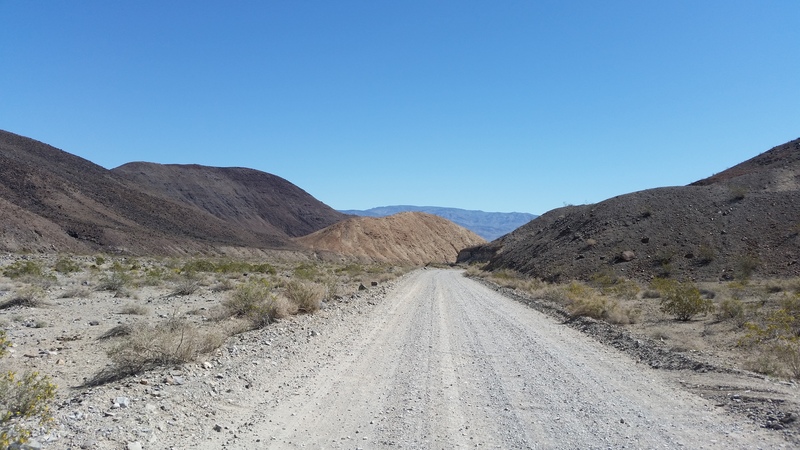 The four mile road into the trail, Painted Canyon Road, is unpaved and quite sandy. 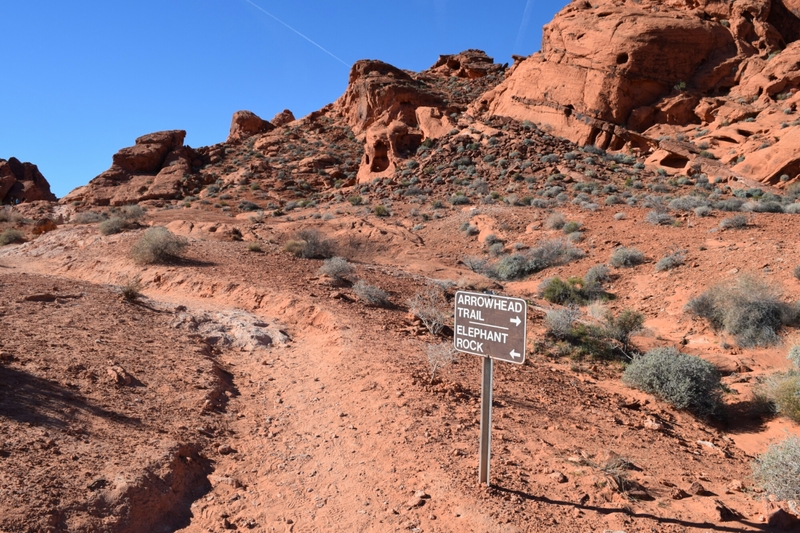 A 4-wheel drive vehicle is recommended but not necessary as long as you avoid the sandy patches of the road. We did see someone attempt to take their Mercedes coupe up the road for some unknown reason, and they wound up getting stuck in the sand. You should also pay close attention to where you park your vehicle. 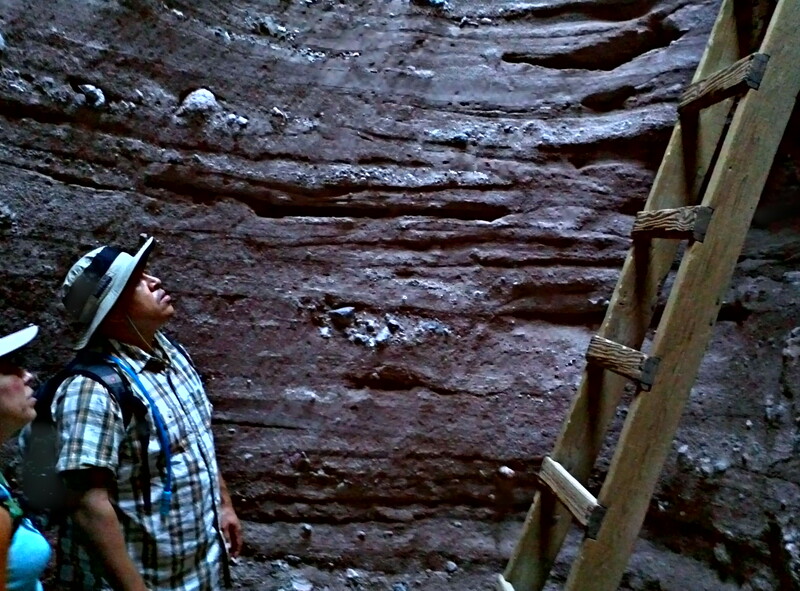 Try to select the more compacted soil to avoid getting stuck when trying to make your way out of the canyon. 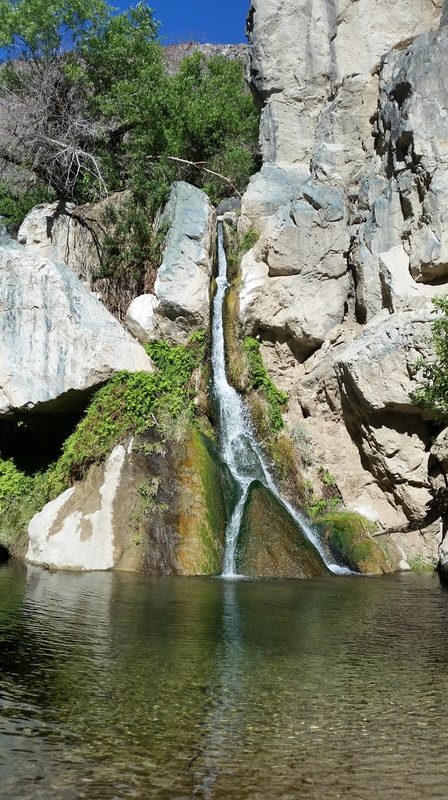 The Ladder Canyon trail is a 4.5 to 5 mile loop, depending on the route you take, that actual begins and ends in the Big Painted Canyon. 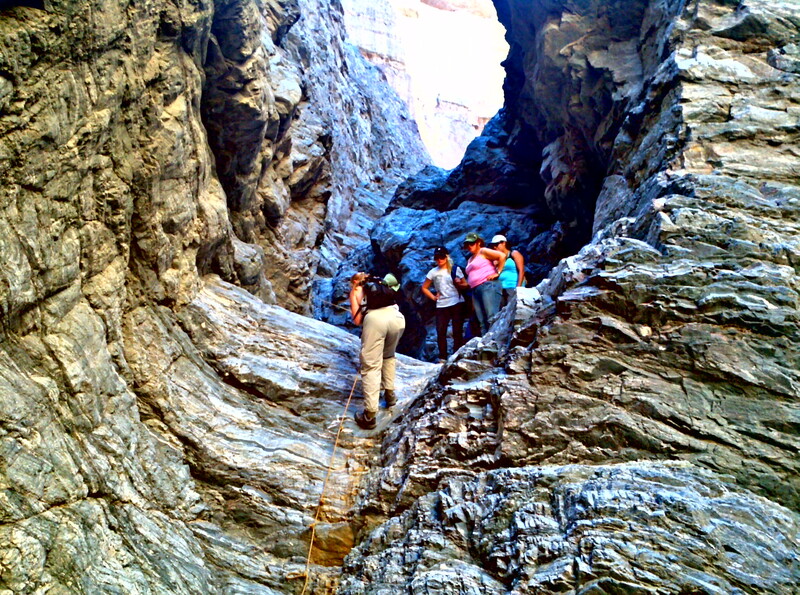 The slots of the Ladder Canyon are about 1/4 of a mile from the mouth of the Big Painted Canyon and are accessible only with the use of ladders that have been left by previous hikers. I have heard that the ladders can be swept away during flash floods. If we had not had the ladders present on the day of our hike I am confident in saying that the slots would be impassable. 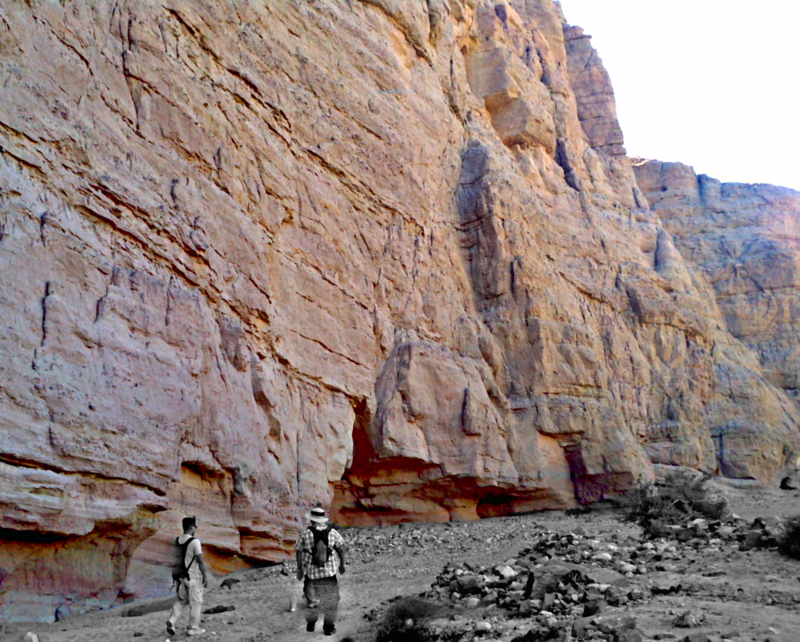 One of the 3 ladders of the Ladder Canyon slots. 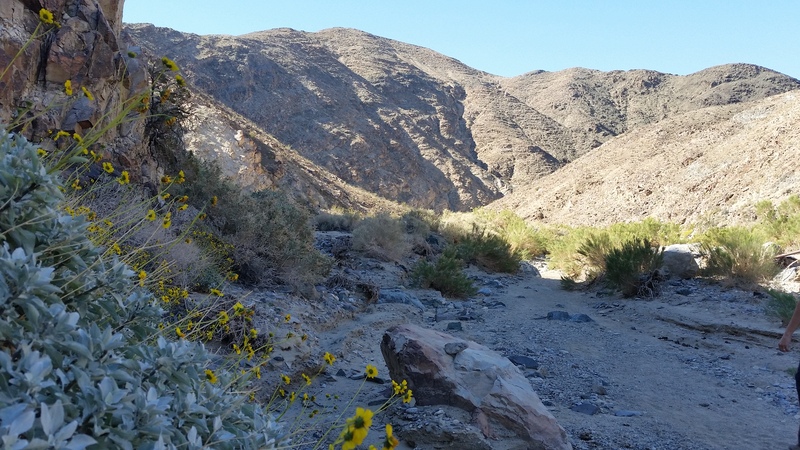 The slots only make up about 3/4 of a mile of this trail and then you make your way up 450 feet to the crest which supplies a beautiful view of the Salton Sea. From here you can choose to loop around through either the Little Painted Canyon, to the left, or the Big Painted Canyon, to the right. 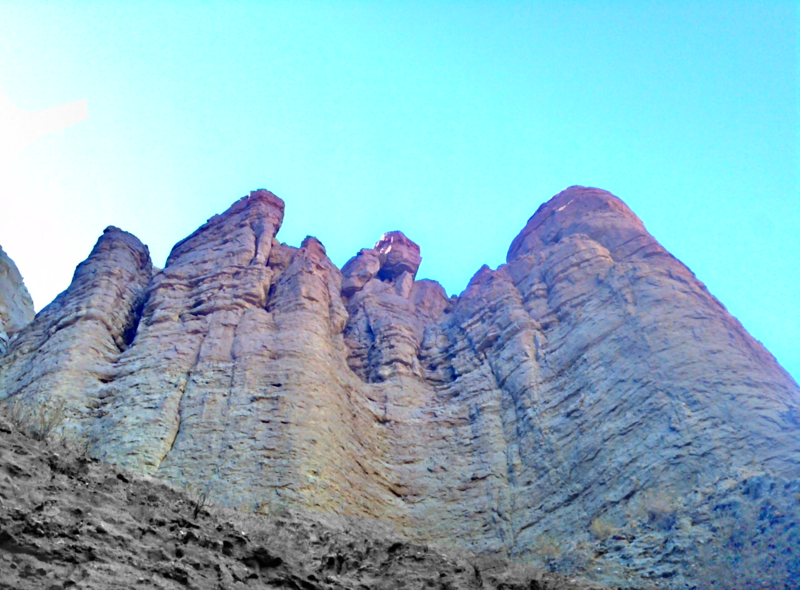 We came through the Big Painted Canyon and were treated with the opportunity to do a little repelling. 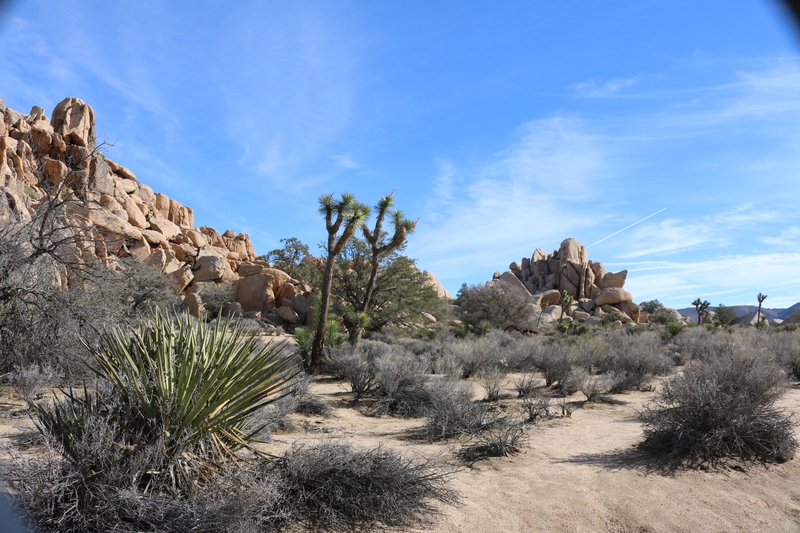 The rock-scape in the canyon is not something I expected to ever find in the state of California. 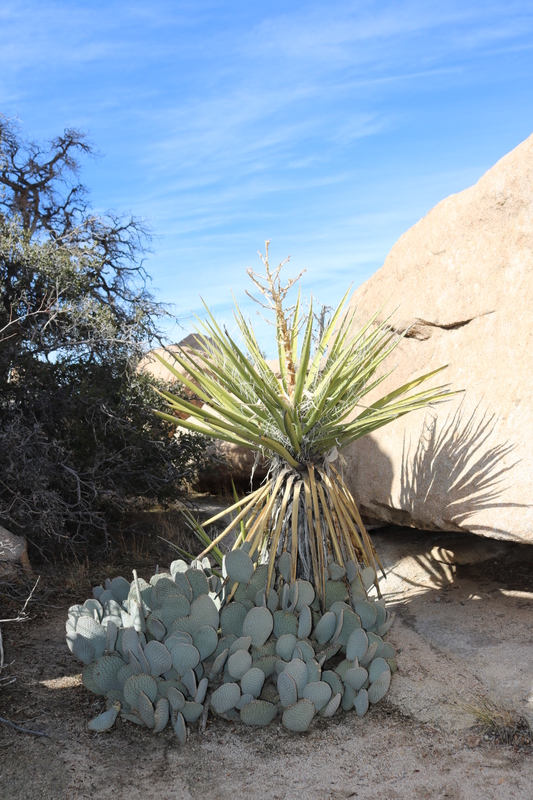 You can thank the San Andreas Fault for the spectacular scenery that is around every curve of the canyon. Overall, this is a very family friendly hike. 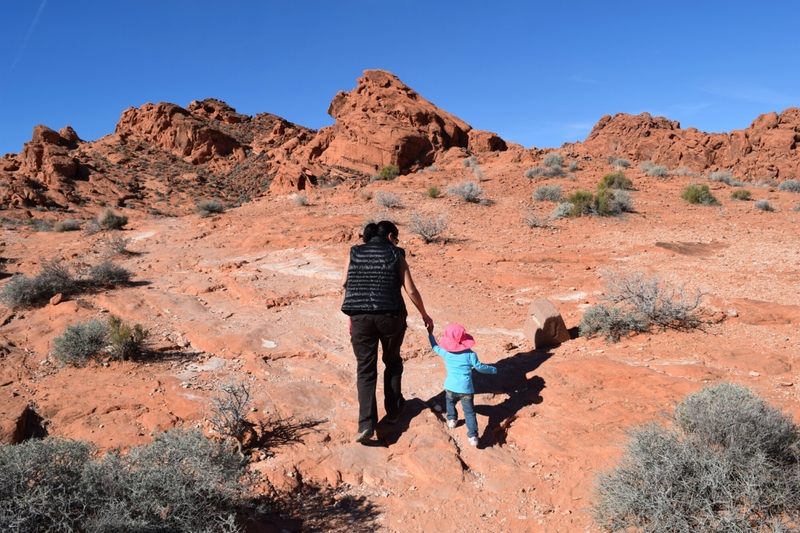 We observed kids of all ages making their way through the slots….not necessarily making it the entirety of the loop. This was a very awesome experience and I will definitely be out there again in the very near future. One of the short ropes down the rock face. 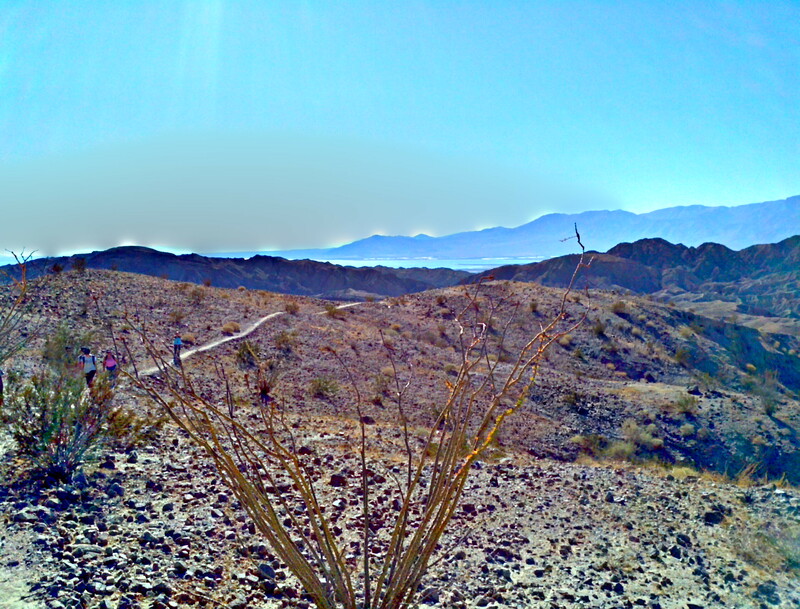 The Salton Sea in the distance.